Flying On-line is the ultimate experience for the virtual Pilot. You can now fly with other Pilots under Air Traffic Control (ATC). You will see the other Pilots in the aircraft they are using with it's proper airline livery and hear their communications with ATC. As in the real world, the Pilot must file a Flight Plan and be able to fly IFR (Instrument Flight Rules) or VFR (Visual Flight Rules), in short, you must know what you are doing. If you can fly on Instruments using MS Flight Simulator, you should get yourself online and fly in the virtual world on the VATSIM Network. But beware, it's totally addictive! and you'll never go back to the artificial ATC in MS Flight Simulator. 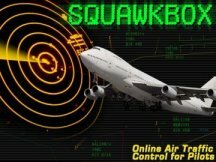 Join VATSIM and download SquawkBox (FS2004 and FSX) - they are free. 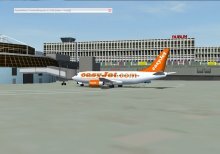 Join IVAO, and download IvAp (FS2004, FSX, X-Plane) - they are free. 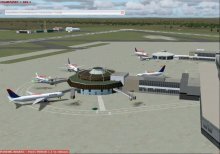 The Virtual Air Traffic Simulation Network, known as "VATSIM" was created in 2001 by a group of individuals who came together with a goal of creating an organisation, which truly served the needs of the flight simulation and online air traffic control community. 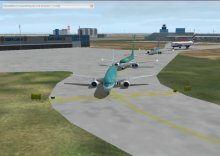 With an eye towards more than just providing a network of computers for users to log into, VATSIM is an online community where people can learn and, at the same time, enjoy the pastimes of flight simulation and air traffic control simulation all while making new friends from all over the world. VATSIM is a free service which is not just for individuals who have experience in online flight simulation and ATC. 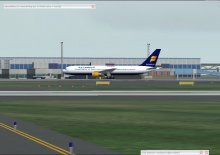 It is perfect for both the new user, and the long time Flight Sim user. For someone who has just learned about online flight simulation and air traffic control and is interested in real world procedures, VATSIM and its members, many of whom bring real world experience and expertise to our community, offer an ideal environment to learn real world skills. For Pilots, you'll be able to fly with radar service by air traffic controllers who issue instruction and assistance in all phases of flight from getting your clearance to arriving at your destination airport. For Air Traffic Control enthusiasts, the entire world is simulated meaning you can work ATC virtually anywhere…from a general aviation airport to the busiest airports in the world. Nearly all of the real world positions are available for you to choose and learn to work. The best part of all of this is that VATSIM brings real people together who share your passion for flight and air traffic control. When you contact that controller or pilot, you aren't contacting a computer generated voice or image - you will be communicating with a real person who shares the same interests as you! All it takes is a few moments to register and join VATSIM Once you do, prepare to learn and be rewarded with friendships that will span the globe. In addition, you'll receive the appreciation and thanks of the online flight simulation and air traffic control communities. 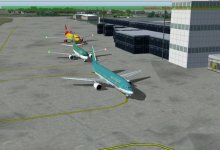 VATeir is the Irish Air Traffic Control service of the VATSIM network. 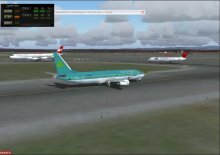 VATeir provide a realistic Air Traffic Control service in Irish airspace making the virtual Pilot's experience as real as possible. Real word procedures (Departure, Approach, Enroute, Emergency) are also implemented at each airport. As in the real world, all Air Traffic Controllers undergo training and must pass examinations for each grade. The VATeir website contains all the information required by virtual Pilots for flying in Irish airspace. 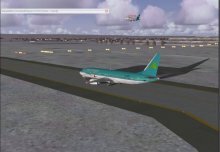 SquawkBox is an add-on for Microsoft Flight Simulator that connects virtual pilots to online air traffic control networks. 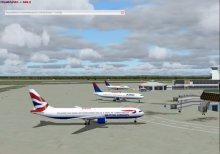 It adds tremendous realism to your flights by connecting you to an online world populated with virtual air traffic controllers. These controllers are real people that communicate with you on voice, handling every aspect of your flight: filing your flight plan, getting clearance, pushback, taxiing, takeoff and landing. Best of all, SquawkBox is free to download and use! Connects you to an air traffic control server. 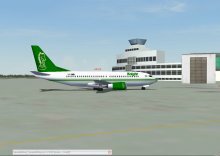 Integrates with Microsoft Flight Simulator to communicate information about your flight over the network. Enables radio communication using text or voice with air traffic controllers and other pilots. Enables private text chat and private voice communication with air traffic controllers and other pilots. Displays other pilots in your vicinity with accurate renditions of the aircraft they are flying. 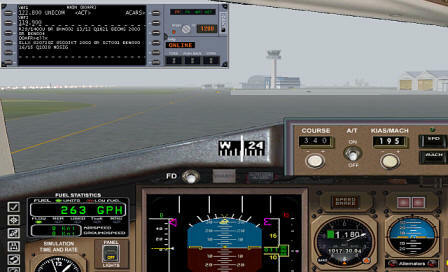 Changes the weather in Flight Simulator using weather data downloaded from the network. The SquawkBox website also has a user manual detailing everything you need to know on how SquawkBox works. IVAO Ireland is the Irish Air Traffic Control service of the IVAO (International Virtual Aviation Organisation) network. IVAO is a dedicated, independent, free of charge, service to enthusiasts and individuals enjoying and participating in the flight simulation community worldwide. You will find the IVAO Ireland website full of resources to make your online flying or controlling enjoyable. 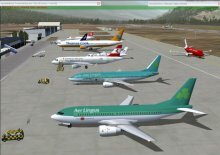 IVAO Ireland welcome members with with all levels of experience in aviation, from the seasoned pilot/controller to the desktop enthusiast. We provide comprehensive training to members on request.